Each of our uniquely styled cottages are en-suite and come with their own outdoor seating area and stunning mountain top view. Each styled with African antiques and bespoke furnishings by local artisans, Nyore Hillside Retreat forges a connection with nature, heritage and contemporary style. 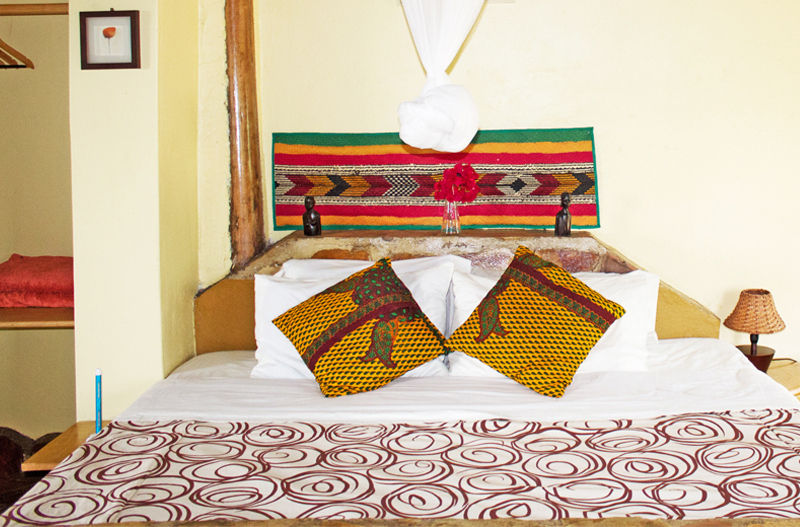 Rates for the cottages are in Ugandan currency per cottage based on two people sharing. All major credit and debit cards are accepted. Where necessary, accommodation can be paid in US dollars at the exchange rate current at the time of visit. CLICK HERE FOR ACCOMMODATION & CAMPING RATES. With God all things are possible. Iam impressed for the work done and may God bless the hands that made all this cute work. I pray that it collects people from all corners of the World so that they feel the comfort of the nature. Good job.